Meyer Lemon Olive Oil Cake. Photo courtesy of Round Pond Estate. Located in the Rutherford region of Napa Valley, Round Pond Estate is a family-owned vineyard with a thriving olive grove. Similar to their small-lot winemaking business, the olive oil crafted onsite is made in small batches and bottled on demand. Round Pond chef Jamie Prouten shared the estate's go-to recipe for a sweet and simple cake where olive oil plays a starring role. While all of Round Pond Estate's gourmet food products are available online, an easy alternative to the citrus syrup is to use honey with the juice of a Meyer lemon. 1. In a large bowl, whisk together the eggs, sugar, , milk, and orange juice. 2. Sift together the flour, baking soda, baking powder, and salt. 3. Add the dry mixture into the wet mixture. Whisk until well blended. 4. Fold in the almond meal. 5. Pour mixture into a buttered 10" cake pan (or a muffin tin for the perfect individual cakes). 6. Bake at 350°F for 1 hour (in muffin tin, 15-20 minutes). 7. Once done, place on a rack to cool, then run a knife around the edges and place it on a plate. 8. 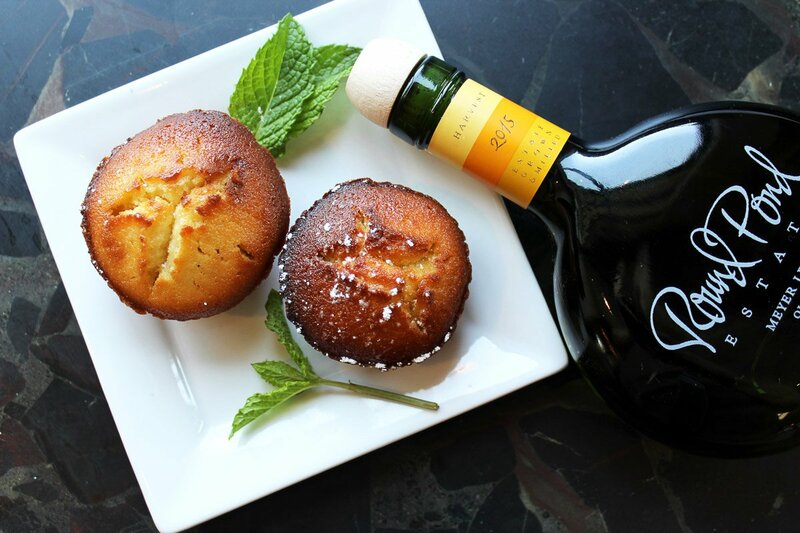 Sprinkle olive oil cake with powdered sugar, drizzle with , and enjoy. Jamie Prouten is the Executive Chef at Napa Valley's . You can follow his latest culinary creations on , , and . He travels for the possibility of discovering new cultures and their respective cuisines.